Hester Lynch Salusbury, was born between 4 and 5pm on 16 January 17411 in Bodvel, Caernarvenshire, Wales. Hester was baptised at Llanere church, Wales on 10 February 1741. Her father was John Salusbury Governor of Nova Scotia (from 1749). Her mother was Hester Maria Cotton. Hester was the 8th great granddaughter of King Henry VII (1457-1509) on both sides on her family line. Aged six, she became a favourite of the Duke and Duchess of Leeds after being introduced to them by her Uncle, Sir Thomas Salusbury Kt. 1708-1773. It is said that Hester - aged 14 - was the lady in William Hogarth's painting The Lady's Last Stake and was given by Hogarth a monkey''s paw mounted in a base of silver as a reward. She went to school in Queen Square2. Her handwriting was delicate, and was skilled in languages reading Latin, French, Italian, and Spanish. Around this time Hester and her mother lived alternately at Offley Place and 24 Dean Street, London. She was only 4 feet, 11 inches tall, with an animated face, touched with rouge, which she continued to use when she found that it had spoilt her complexion. She was clever, vivacious, independent, with a sensitive - if not a tender - nature. She was also a good horsewoman. Before she was fifteen she had written papers in the St James's Chronicle. She read literature, could quote aptly, and put knowledge as well as playful life into her conversation. Hester is best know for her letters, and also wrote prose and verse. Later in her life at the age of 65, she started started to learn Hebrew from Reverend John Roberts to "divert Ennui & pass the Summer Months away". Edward Mangin also attributes her as having a knowledge of Greek. Hester was on the management committee of the St. Stephen's Ladies' Charity School for Training Girls. 1. After 1752 she celebrated her birthday on 27 January, to reflect the addition of eleven days to the calendar following the adoption of the Gregorian Calendar. 2. Probably Queens Square, London. It may interest some of you to know that there is a traditional rapper sword dance team called Thrales Rapper. Although the tradition comes out of the pit fields and fishing villages of Northumberland and Durham, ten years ago a team was founded in Southwark, London. They gathered regularly to practice in the Anchor pub on the banks of the Thames, specifically in the Thrales room at the back. Under Hester's watchful eye, they laboured to perfect the intricate stepping and the complex interweaving figures of the rapper sword dance, so when it came to naming the team, Thrales Rapper was the obvious choice. Since then, a lot of water has flowed under the bridges of the Thames, and the team meets elsewhere, but the name has stuck for good. The rapper dance is traditionally performed in pubs, and the lads keep to this with a will! So watch out for them if you're out and about in the London area. If you see them, step up and say hello. Any connection with old Hester will be guaranteed to generate some cordial responses. I am an historian living in Sydney, Australia. 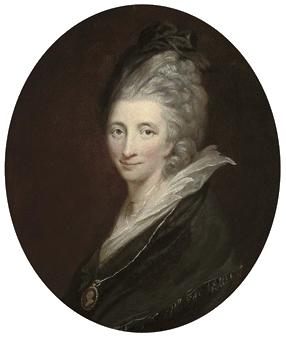 In the course of researching my Ph.D. on the history of English travel to Italy I discovered Mrs Thrale/Piozzi. I soon became enthralled (not intended as a bad pun!) by her life story, and am currently in the early stages of drafting a novel about it. Needless to say, I was thrilled to come across this site, which looks like the perfect starting point for gathering information about aspects of my subject's life which are difficult or even impossible to research from the other side of the world. Anyone with a particularly detailed knowledge of Hester Thrale is welcome to contact me. I am delighted that Thrale.com will be able to help you in your research. Do please let me know if you have any specific questions. I'll do my best to answer them if I can. In return if you find any useful information about Hester Thrale missing from the site, I'd be grateful if you could let me know. This is brilliant! 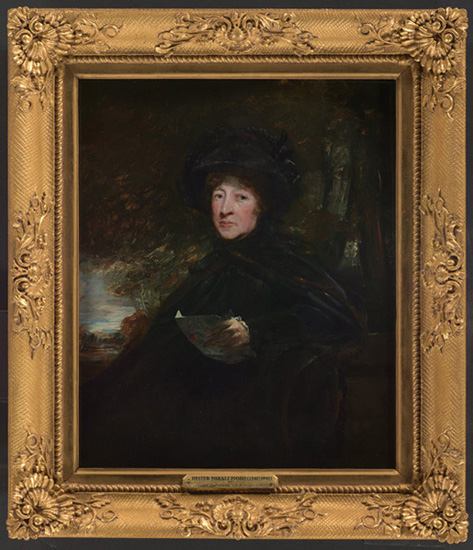 As a long time Hester Thrale fan, I think this site is a fantastic tribute to her and the Thrale family. That is a coincidence, I have just ordered Dr Johnson's Women, having just finished According to Queeney! I'm not descended from Hester Thrale. There are no Thrale's descended from Hester - all her sons died before reaching puberty. However Henry Thrale (Hester's first Husband) is my 2nd cousin seven times removed - or put another way Henry's Great grand father, Richard Thrale, is my 8th Great Grandfather! I have also just discovered that John Meredith Mostyn, who married one of Hester's children, Cecilia Thrale, was 17th direct descendant of King Edward 1st and 18th of King Henry 3rd! Congratulations on a very useful resource for scholars working on Hester Lynch Thrale Piozzi. We'll recommend this to our customers. Women's History / Social History Books. 2 Pineways, Appleton Park, Warrington, Cheshire, WA4 5EJ, England. I'm flattered with your comment that my efforts have made Thrale.com a useful resource for scholars of Hester Thrale! I'm pleased to report that I have just purchased James L Clifford's biography of Hester Thrale from you. I placed the order on Sunday night and it arrived in pristine condition on Tuesday morning. Excellent value. Excellent service. Thanks. 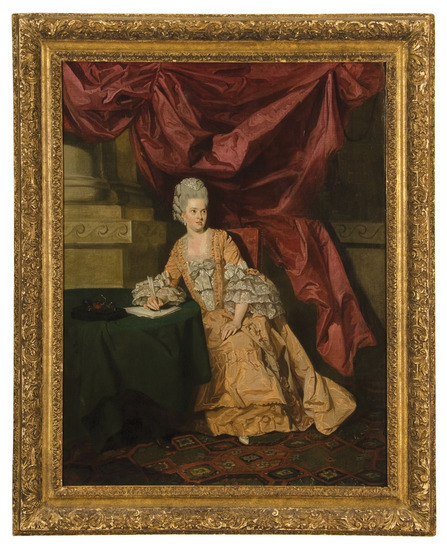 I was delighted to find Thrale.com while doing research on Hester Thrale Piozzi. I am writing a dissertation on literary salons in Europe. At the moment I am working on a publication on the women of the salons, of which Hester Thrale was a most fascinating one. Thank your very much for any help. I just want to thank you for your beautiful site. I'm a huge fan of Hester Thrale, especially her Thraliana. I've recently decided to take a stab at writing a new biography of her, and it's very encouraging to see how much others still care about her.